Swimmer ignited a firestorm of outrage at the Olympics and his spat with Brazilian authorities caused four brands to drop him as a spokesman, but smaller companies are cashing in on his notoriety. SAN FRANCISCO: Ryan Lochte has scooped an endorsement deal with Robocopp USA in the wake of a scandal that swiftly terminated partnerships with Speedo USA, Ralph Lauren, Airweave, and Gentle Hair Removal. 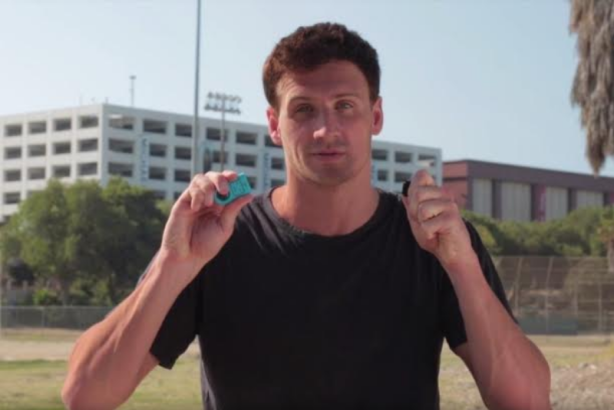 Robocopp makes personal alarm devices and is the latest company to bring on Lochte after cough drop maker Pine Bros. signed the embattled swimmer last week. And more endorsements may be on the way, as ongoing talks for potential partnerships continue, according to a source familiar with the matter, who couldn’t name the brands or say when the talks would likely end. "I don’t go anywhere without Robocopp," says Lochte in a new video promoting the product posted on YouTube. "It’s this tiny device. All you do is pull the pin and it releases a startling alarm that can get you out of a bad situation." The irony runs thick, as one report by Time noted. Jill Turner, PR director for Robocopp, declined to comment when asked whether the sound grenade would have been useful to Lochte during his alleged gas station robbery. Rick French, chairman and CEO of French|West|Vaughn, said he doubts the deal is as lucrative or complex as those Lochte signed with Speedo USA and Ralph Lauren, given the speed with which they were finalized. He compared it to a brand paying an influencer to send out a batch of tweets endorsing a product. "He [Lochte] is trying to prove he’s not toxic and he’s commercially viable despite the loss of his sponsors," French said. "He’s willing to take a modest amount, and the brands get a quick bump in awareness." Lochte hired Hiltzik Strategies CEO Matthew Hiltzik to handle his PR shortly after the scandal broke. Hiltzik has handled PR for high-profile clients such as Justin Bieber and Manti Te’o. FWV handled PR for Speedo for eight years leading up to the Beijing Olympics in 2008, then represented Speedo’s competitor, Arena, for a few years afterward, French said. As two brands based on performance and integrity, Lochte’s endorsement didn’t have "one upside." "He is and will likely be the best swimmer this country has produced," said Jill Turner, PR director for Robocopp. She declined to comment if Michael Phelps, the most decorated swimmer of all time, was the better swimmer. Rio police charged Lochte with falsely reporting a crime last week, and the swimmer will now be summoned to appear in a Brazilian court personally or through a lawyer. Turner declined to comment on that issue and any inquiries surrounding Lochte’s string of bad press, how the partnership came about, and who the company has used as spokespeople in the past. "Anything they say can and will be used against them," French said. "They have to do it with a straight face to say he’s a fit for their product. The reality is they know if they announce the deal, there will be significant press coverage. Is it smart? It depends if you think any publicity is good publicity." Pine Bros. is known for its unlikely endorsements and unorthodox campaigns, the most recent example being Waka Flocka, who starred in an ad aired during the 2015 American Music Awards. Efforts to contact Pine Bros. were unsuccessful as of press time. In the AMA ad, the artist sits in a smoky living room pontificating about the benefits of Pine Bros. cough drops. "Next time you need some throat relief—for whatever reason—take your Pine Bros.," he said. Pine Bros. aired a similarly low-budget, awkward ad with Martha Stewart during the Golden Globes the year prior, which the company claims helped double its sales. That creativity will be put to use in the upcoming campaign, "Pine Brothers Softish Throat Drops: Forgiving On Your Throat," which will feature the swimmer in print ads and a commercial. The company riffs on Lochte’s recent mishaps, asking the public to shine a more favorable light on him. "Just as Pine Bros. is forgiving to your throat, the company asks the public for a little forgiveness for an American swimming legend," the company said in a statement announcing the endorsement. "These two brands are playing to his bad-boy image and trying to ride the coattails of his notoriety," French said. Lochte was also confirmed Tuesday as a competitor on the 2016 season of Dancing with the Stars, with the show’s executive producer, Rob Wade, defending the swimmer and explaining he was signed before the Rio Games started. "We use the show as a place where people can come on and tell their story," Wade told TV Guide. "It's often been a show where people can talk about things that have happened in their lives that are very positive and things that were more problematic, and for us, this is an opportunity for Ryan to come on and show his true self, dance on the show, and have some fun." "There are always heroes and villains on reality shows," French said. "They have to have someone who’s somewhat dislikeable to pull against so there’s a foil. The producers probably went into negotiations thinking they had a decorated Olympian. But after his troubles in Rio, they probably thought more and said: we can still use him in a different way. He’s the scoundrel."